The latest exhibit from the Oklahoma Museum Network takes Oklahoma’s amazing insects to a larger-than-life level with giant animatronic insects, interactive exhibits and live insect displays to give visitors a unique perspective of a bug’s world and reveal the fascinating complexities of our six-legged neighbors. Backyard Bugs: An Oklahoma Insect Adventure is currently located at Tulsa Children's Museum Discovery Lab. Red Dirt Dinos: An Oklahoma Dinosaur Adventure is an immersive exhibit created specifically for the Oklahoma Museum Network and funded by the Donald W. Reynolds Foundation. It features animatronic dinosaurs and numerous hands-on, interactive components. The exhibit explores dinosaurs that once roamed Oklahoma and the science used by paleontologists to unearth the secrets of these great giants. Red Dirt Dinos: An Oklahoma Dinosaur Adventure is currently located at Museum of the Great Plains in Lawton. Kid Inventor provides visitors with the tools and inspiration to create their own invention! This exhibit features a LEGO car raceway, a game programing studio, and a design-it-yourself building area with hardware and wood materials. Each element of the exhibit reinforces STEM concepts and encourages designing, building, testing, and improving upon one’s creation. Kid Inventor is currently located at Leonardo's Children's Museum in Enid. Building Buddies is an interactive village that invites young children to play and explore while helping their buddies improve the neighborhood. The different characters, or buddies, need help fixing up their houses. This creative construction site features hands-on stations that encourage children to construct, build, decorate, paint, tile and more! Building Buddies is currently located at Jasmine Moran Children's Museum. Hard hats and work vests on! Inspired by the factory tours in the “Mister Rogers' Neighborhood” television series, “How People Make Things” gives guests the chance to get hands-on with manufacturing processes as well as to use real tools and machines to create interesting items. Weave through the exhibit and try cutting with hand tools and die cuts, explore different molding and vacuum tools, deform pennies and wire, assemble a trolley like the one in Mister Rogers’ Neighborhood, and more. "How People Make Things" was developed by the Children’s Museum of Pittsburgh for the Arkansas Discovery Network. It is currently on exhibit at Science Museum Oklahoma. Styled after a classic World's Fair, Marvels of Science showcases the strange, remarkable and marvelous world of science through three interactive themed areas. View the world one frame at a time with a high-speed camera, get a close-up with a video microscope, use wind to carve new landscapes, take a spin and experience the power of rotational force, and explore fantastic scientific properties first-hand. Marvels of Science is not currently on exhibit. Move It! is an active and surprising exhibition that is always in motion. 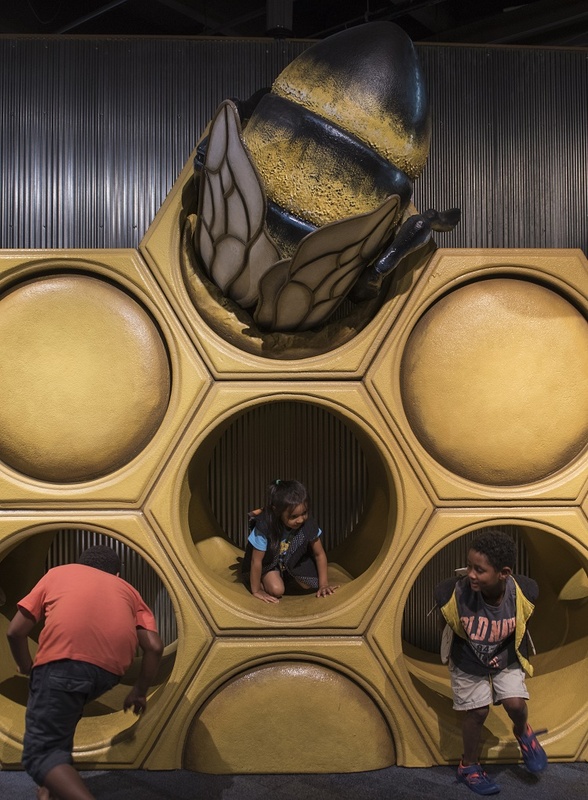 The space, inspired by fun kinesthetic experiences and classic physics concepts, allows families to add their energy to the space, transforming the exhibit as they explore. Move It! will enter OMN's exhibit rotation in spring 2019. Explore the complexities of weather! In Oklahoma you can never be quite sure what kind of weather you’re going to get. One day you might be outside in a t-shirt and the next you may have to pull out your parka for protection from a snowstorm! What causes these drastic changes in temperature? Where do weather forecasts come from? Weather Works is currently located in Eye On the Sky at Science Museum Oklahoma. An interactive exhibit group, 3-2-1 Blast, transports visitors through the fluid world of aerodynamics as it explores the innate curiosity and compulsion that drives humans to explore the unknown. 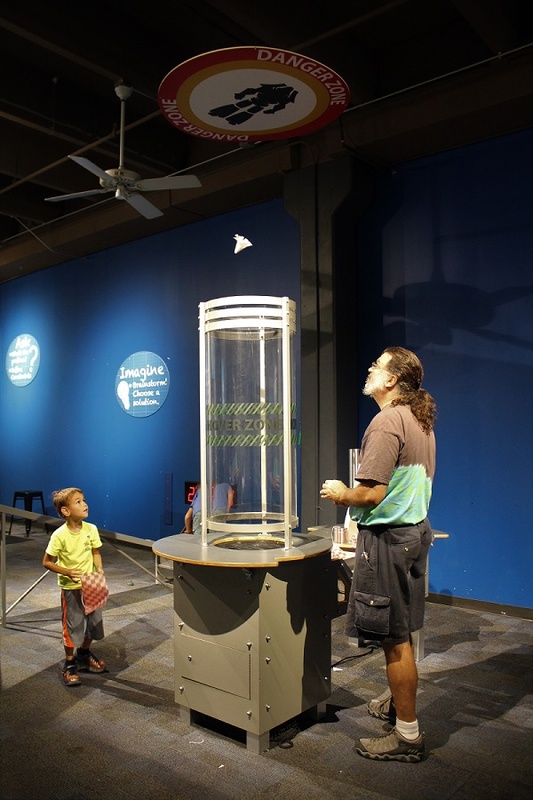 3-2-1 Blast allows visitors to investigate moving air and its interaction with objects in motion while discovering how aircraft design, center of gravity and forces of flight affect stability. 3-2-1 Blast is currently located in Destination Space at Science Museum Oklahoma. Tape & Tunnels is a whimsical space built of repurposed and recycled materials. The iconic structure of the exhibit is the translucent tape tunnel that encourages visitors to climb, crawl, and explore while supported only by interwoven layers of packing tape. The do-it-yourself environment inspires artistic expression, thoughtful problem-solving and active learning. Tape & Tunnels is currently touring the Arkansas Discovery Network. Tinkering is an interactive play exploration of how things work. This collaborative environment encourages visitors to work together, ask questions, dream new things and find answers through focused investigations. Tinkering is not currently on exhibit.